Note: Sadly, this restaurant is no longer in business. Hereford: Because of how many burgers we eat for the blog, we don’t often get back to some of the great places we’ve reviewed as much as we would like. For instance, I don’t know if we had a better overall experience than we had at Mueller’s, but we had only had a chance to return there once. Today I took my girlfriend there, because she had never been there before. When we sat down I was very sad to see a sign thanking people for their friendship and prayers, and a memorial to David Mueller. We had missed that he passed away a couple of weeks ago. Here is his obituary. We only had a chance to meet him twice, but we found Mr. Mueller to be extremely nice and extremely generous. 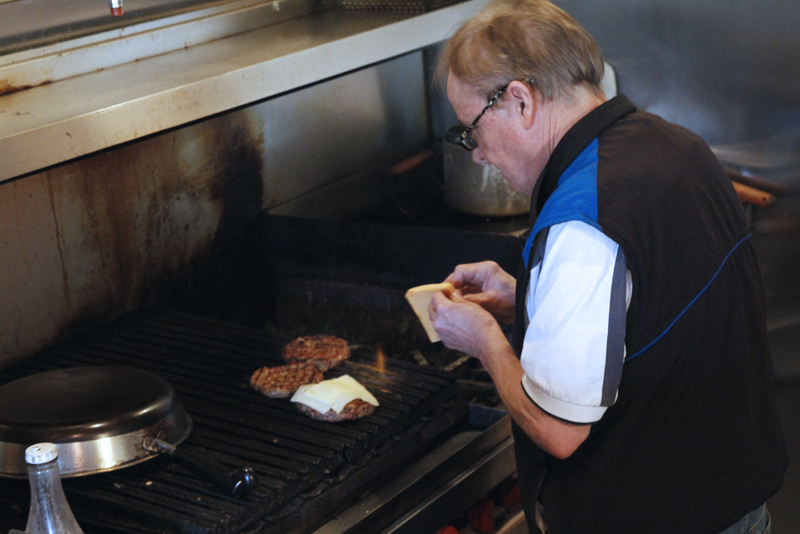 We love getting to eat all of the great burgers in Charlotte, but even better is meeting the wonderful people who put their heart and soul into that food. Our experiences would be nothing without people like him. Mueller’s Restaurant is continuing, and they are still providing some of the best burgers this city has to offer. (Today I had the Patty Melt Burger and it was amazing.) If you haven’t been there yet, you really need to go. 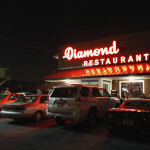 In addition to their great food, they have the best service in town. Angus: As we stated in our review of Brazwell’s , we first attempted to review Mueller’s late on a Friday evening, only to find out that they close promptly each day at 3:00 p.m.
Hereford: We’ve reviewed several restaurants which have made that claim spuriously , so this was obviously exciting for us. Mueller’s doesn’t look like a restaurant. It seems like a small house, or the type of make-shift store at which my grandmother buys Christmas ornaments and replica lighthouses. 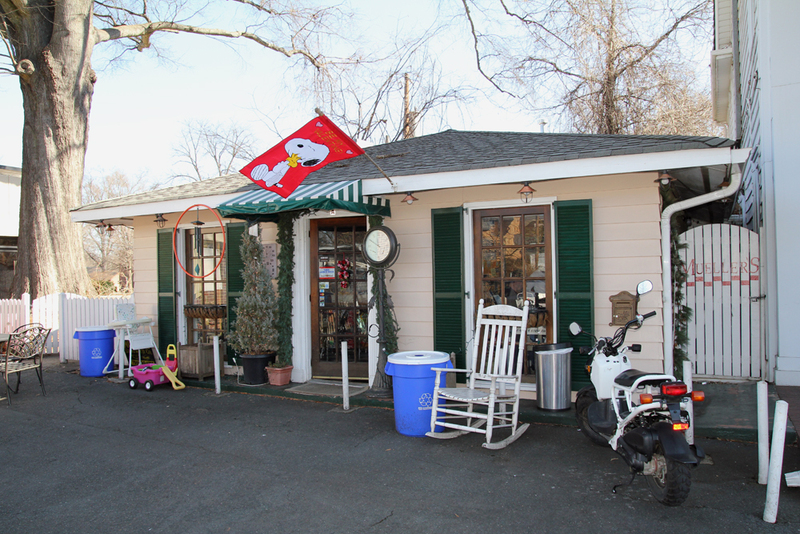 So far, this is definitely the first restaurant we’ve reviewed that features a Snoopy flag at its door. Angus: Walking in feels like you’re stepping into someone’s house. It’s so small—the only interior seating is a couple of patio tables and chairs against the right wall. 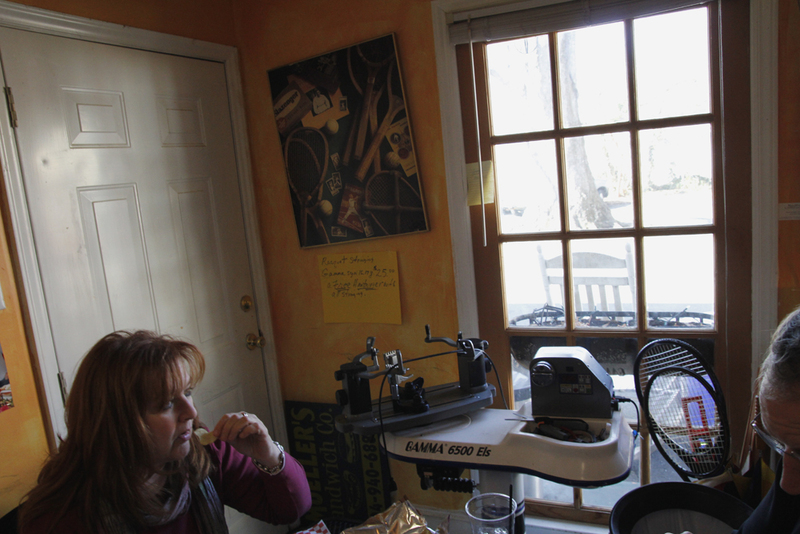 They have newspapers and cookbooks lying out, and they cook right in front of you. NPR plays quietly on the radio. As we took a seat I began to believe that the over-used phrase “quaint charm” might have been invented here. Hereford: We are certainly not the first reviewers to visit Mueller’s—we felt like we were walking in someone else’s footsteps. 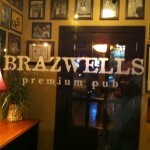 Their walls were decorated with the text of various reviews, all of which reported that the food was amazing. Since we we’re just simple bloggers, writing in a very specific niche (and not for a newspaper with a circulation of around 200,000 people ), it made me feel a little inadequate—somewhat a wise man might if he showed up at Mary and Joseph’s door several months after the first three came by. Especially if that fourth wise man somehow found a way to bring a gift less useful than myrrh. 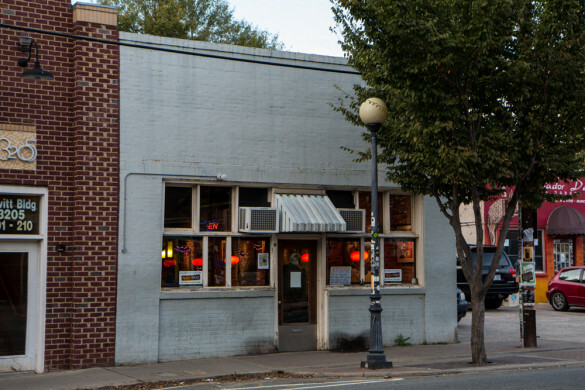 Angus: Creative Loafing had been here in 2009, giving the award for Best Hamburger in Charlotte , and Jeff Elder from the Charlotte Observer said the same thing in 2007. 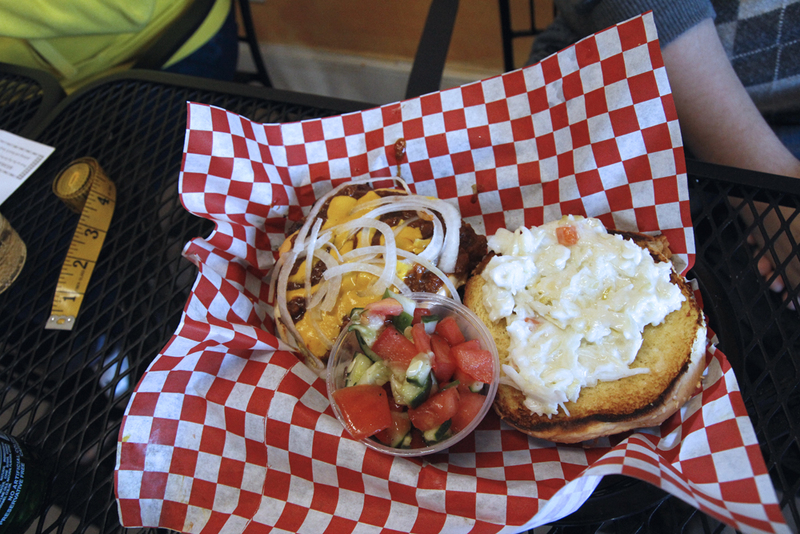 Sarah Crosland featured them in a review she wrote in October of 2009 about great hamburgers in Charlotte. There seems to a unanimous agreement. 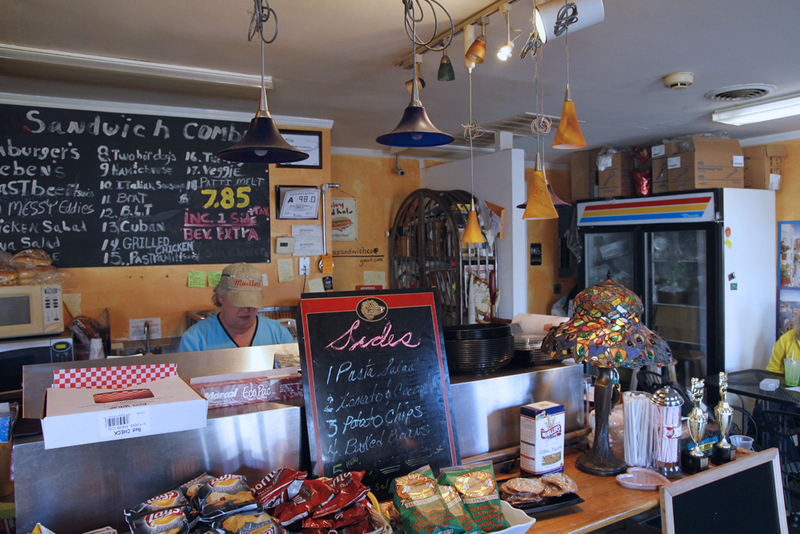 Hereford: Our server’s name was Betty, and she made me feel like I was at my grandmother’s house. Not only was she nice, but she was concerned every time that I stood up—she came rushing over to make sure that there wasn’t something I wanted or that she could get for me. My grandmother dotes on me the exact same way. Angus: She asked us what we wanted to order, and I asked for a Classic Burger. The Classic is not on the menu—at least that wording isn’t—but I had seen on the wall in the Charlotte Magazine article. It had bacon and cheese—what I always get. It sounded perfect for me. Hereford: I asked what specialty burger I should get, and Betty told me to get the Carolina Burger. It has chili, fresh slaw, onions, and mustard. 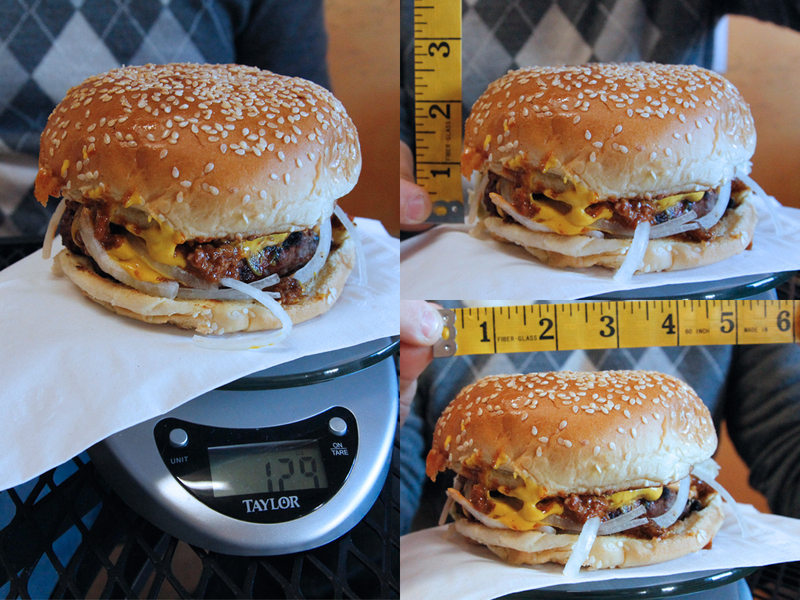 It had been a while since I had reviewed a chili cheeseburger, and I was in the mood for one. I was happy to get that. Betty then asked me what side I wanted and I reflexively asked for fries—that’s always my default answer. For a burger place to not serve fries is as strange as a movie theater that doesn’t serve popcorn. But Mueller’s doesn’t. They have several other sides, like chips and baked beans. I think I understand why. The place is very small, and it’s unlikely they have room for a fryer. So I tried not to hold it against them. After being told there was no fries, I found myself caught trying to figure out on the fly what item to get. A side comes with it, so I was going to order a side, even though I figured I wouldn’t much want it. So, after hemming and hawing for a moment, I picked baked beans. Betty seemed to know that I wouldn’t have been happy with this decision. “Have you tried the cucumber and tomato salad?” she asked. Since I put myself at our server’s mercy in these reviews, I told her I would have that, but before she would write it down she insisted I try it, so she brought me a portion immediately. I actually liked it—it was in a vinaigrette, and was pleasantly tart. I liked it a lot. I mean, fries would be better, but it was good. Angus: One of the great things about such an intimate environment as Mueller’s is that you really are sharing your experience with others. After we sat down, another couple came in and sat beside us. We’re pretty notable when we’re out doing a review, due to our equipment, and that struck up a conversation with them. Their names were Tom and June, and we had a great time talking to them about burgers. They had a long list of burger places they knew of that we needed to try. We absolutely love suggestions , so we’re going to try to fit those into our master calendar. Hereford: In fact, if you happen to see us out, feel free to stop by and say hello. That would be awesome. Angus: Right before the burger came out, I noticed an odd looking machine in the corner and wondered aloud what it was for. Betty came over and told us that it was for restringing rackets. Mueller’s has a special—you can get your racket restrung for $25. That seems like a pretty good deal. But here’s the kicker: with the racket restringing they throw in a free burger. Hereford: I wish I had known about this in advance. Not only did I go there hungry, but I have a racket at home that needs to be restrung. This might be the best deal for consumers in all categories offered in Charlotte. I will definitely come back and take advantage of this. At that point, the burgers came out. 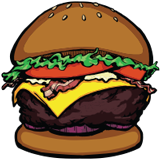 Angus: One thing that sets Mueller’s apart is that they flame broil their burgers. I loved watching them cook from where we sat. When a lot of people come in, the smoke from the hamburger grease fills up the room and they have to open the door (even when it’s a little cold). That flame broiling makes a huge difference. This was unlike the other burgers we’ve had. It was very flavorful—amazing really. My classic burger was fantastic. The cheese was just right, and so was the bacon. The buns were toasted and awesome. Because the burgers are more greasy than some of the other ones we had, but the buns didn’t hold up the entire way through perfectly. But that was okay. Some burgers are meant to be messy. 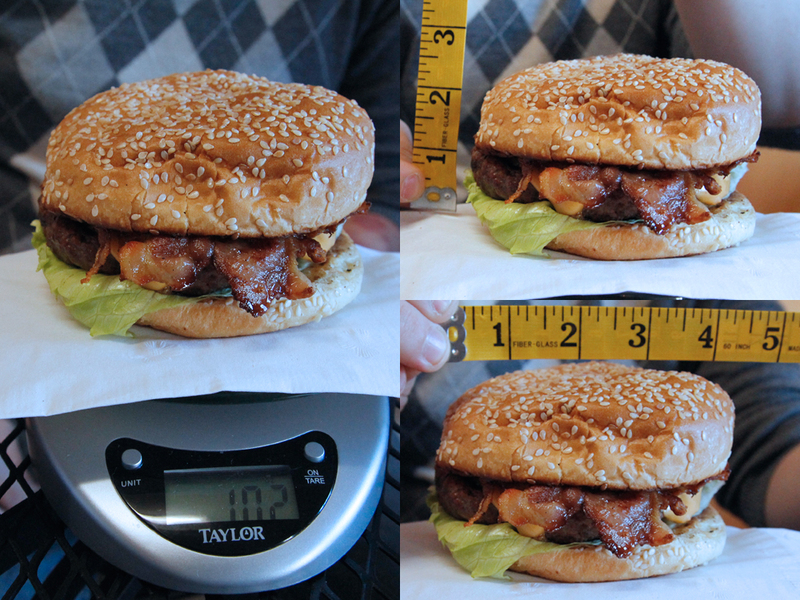 Hereford: Usually when we eat our burgers when we review, we take turns talking about what we’re thinking as we eat. 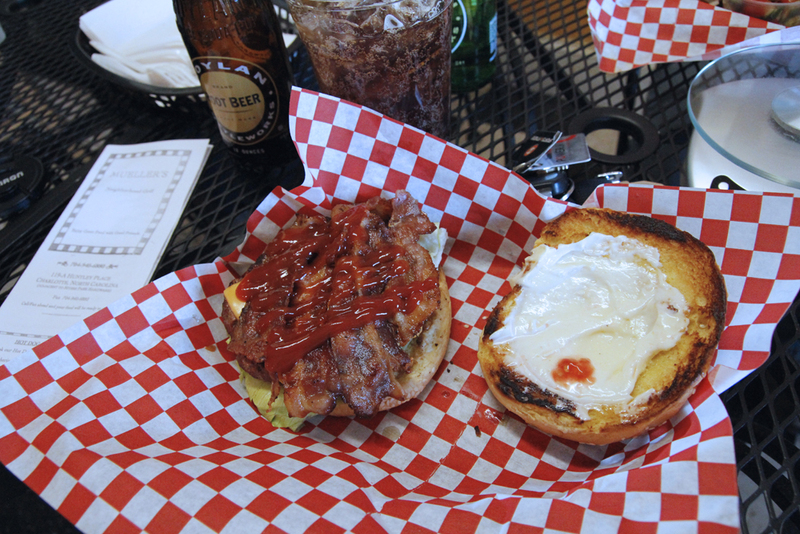 I didn’t talk a whole lot as I ate this burger though—it was just good. A little blackened on the outside—with a wonderful flavor on the side. The cheese was great, and the slaw was a little sweet. The chili added just enough spice. It was one of the best burgers we’ve had so far. Angus: After eating those burgers we decided to get a couple of hot dogs too. Everything was just too good not to keep eating there. I got a Carolina dog, and Hereford got a Chicago dog. They were just as good as the burgers. This is the type of place that does just about everything right. 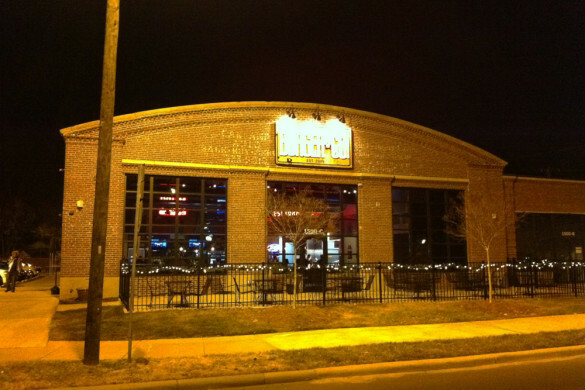 Food: 4.9 — We decided that Mueller’s had to tie with Alexander Michael’s. They both had great burgers, but they had different strengths. This is as close as perfection as we’re willing to admit right now. Service: 5 — Betty was the best server we’ve had in our relentless quest. 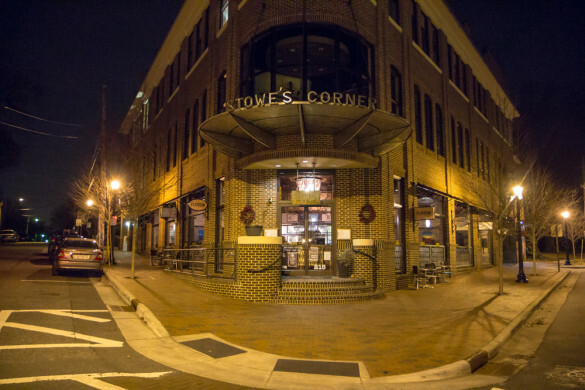 For us, she made Mueller’s the type of place you’ll want to go if you’re a little homesick. Theme: N/A— Mueller’s isn’t trying to be flashy or novel. 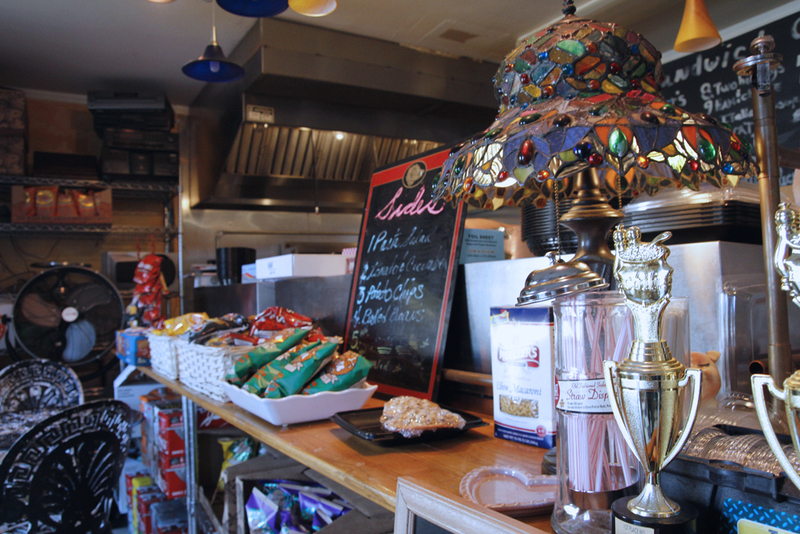 They’re focused on being a family restaurant that serves amazing food. They don’t really need a theme. Atmosphere: 5 — When we got in the car after leaving Mueller’s we said that this was our best overall experience that we’ve had so far. Nobody there had ever met us before, but it never felt like that. Beer Selection: N/A— Since they don’t have beer at Mueller’s, and since we probably should be drinking before noon anyway, we had to stick with sodas. 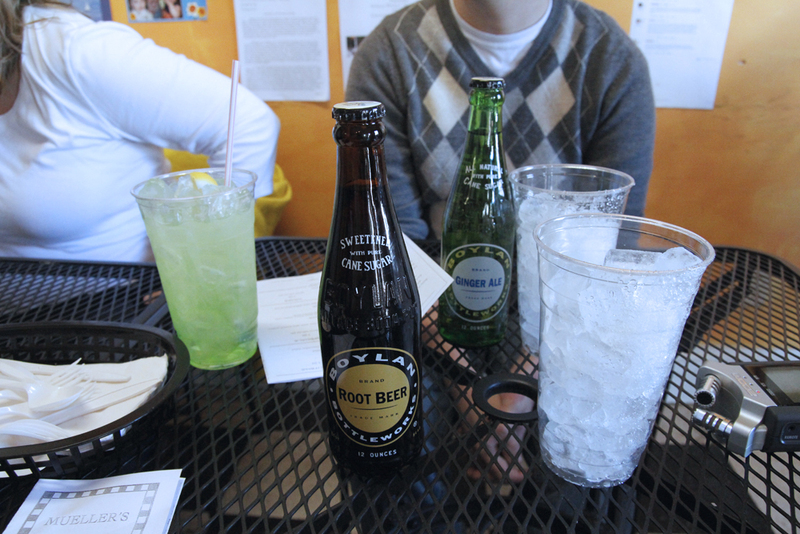 It was cool that they had Boylan’s soda—the vintage soda with real cane sugar. 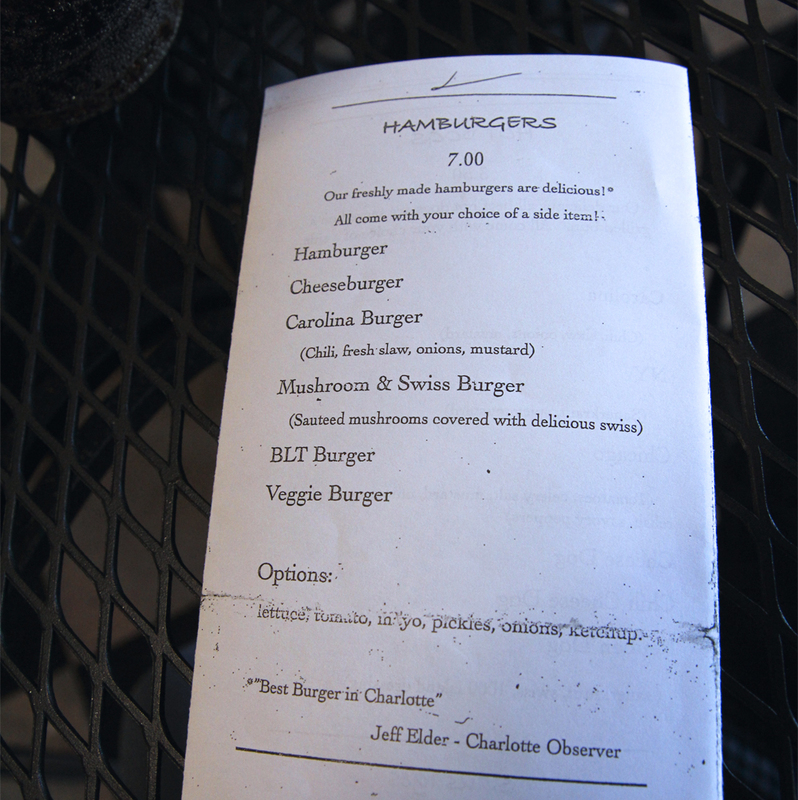 We thought that sounded awesome, and in line with our goals for the Charlotte Burger Blog. So we drove around shot video of us explain who we are and why love the food in Charlotte. You can see the video here. Hereford: As you can see, for the video we ate all day. And we didn’t really do the Hollywood thing and spit them out—we ate pretty much every bite you see us take (And that doesn’t count the takes we didn’t use). At the end of the day, after a big Mueller’s hamburger, a hot dog, and all those additional burgers, I had made myself absolutely sick. It was worth it, but I felt awful. Angus: Hopefully something comes of it, but if not, at least we had fun doing it.